Do you live in Fort Mill, Tega Cay, Rock Hill, or the surrounding areas? Are you looking for a garbage disposal repair company? Prime Plumbing is your go-to service provider. We are offering drain cleaning, plumbing service, and water heater repair services to homeowners and renters for over 15 years. Seeking a Fort Mill Plumber for Garbage Disposal Repair? Why Choose Prime Plumbing Services in Fort Mill for Garbage Disposal Repair? When hiring a service business, it is advisable that you know something about it. How does it operate? Does it offer satisfactory services? How good are the employees? Does the business deliver on what it promises to its customers? At Prime Plumbing, we have the garbage disposal repair services you are looking for. The crucial question is why choose us? Here is why. The last thing that you don’t require is hiring a service company with employees who do not perform as expected. We save you the trouble of wasting money on poor service providers. We have employees with the necessary skill set to ensure you get the best garbage disposal repair and replacement. With our plumbing and drain cleaning departments, we ensure that you get rid of garbage from your property, therefore boosting hygiene standards in your environment. If you need sink repair services, we got you. Have you at one time found yourself in a particular situation where you have to buy the materials or equipment needed to fix something in your home? If not, make sure you do not hire a company that makes you do so. When you work with Prime Plumbing, there is no need of worrying about buying materials for the job. For instance, your kitchen or bathroom needs new sinks. We offer sink replacement services. Our employees will replace broken or old ones to give your space a new, refreshing appearance. You do not have to buy sinks separately. If you are searching for garbage disposal repair Fort mill, we are what you need. Ask around about us. Research about us online. We have a reputation of offering high-quality plumbing services at all times. We understand that different clients have different needs. This way, we are capable of customizing our services to suit your garbage disposal repair needs. Prime Plumbing understands that customers are essential players in any given business. We do not take you for granted. For this reason, we have a customer service team that is responsive. They attend to your concerns, questions, and complaints in a professional manner. Every client is important. It doesn’t matter how big or even small your concern is. Contact us at (803) 219-4096, and we will be more happy to handle your needs. At some point in your life, you will work with businesses that have you asking, are these people professionals’? The fact that you are paying for services means you deserve to be treated professionally. At Prime Plumbing company, we hire people who know the value of customers. Our employees are punctual, courteous, and efficient. They have the potential to tackle every task allocated to meet the standards we have in place. At the end of the day, you will be grateful that you used our services. We have experts in every section be it water heater installation and repair, drain cleaning, or plumbing. They have what it takes to do repairs and installations in and around your home. If you are new in Fort Mill, Tega Cay, Rock Hill, and the surrounding areas, and searching for garbage disposal repair service near me, contact us for high – standard services. You will be making the right investment by working with us. 6. At what cost do we offer our services? As you search for garbage disposal repair services in Fort Mill, Tega Cay, Rock Hill or surrounding area, remember to compare garbage disposal repair costs from different plumbing service companies. Garbage disposal repair cost varies from one company to the other. Through making comparisons, you can find services that fit in your budget. Prime Plumbing provides services at cost-friendly rates. Contact us today at (803) 219-4096 for a FREE quote. Perhaps there is a leak in your plumbing system. Relax. 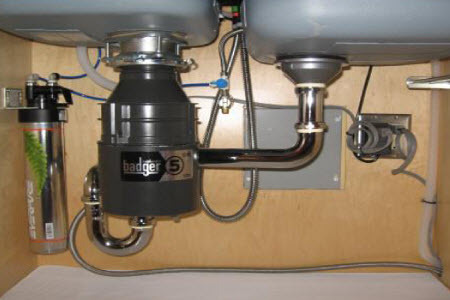 We have experts to help you with garbage disposal leaking. You have no reason to endure leakage for days when Prime Plumbing in Fort Mill is here to assist at a cost. Garbage disposal repair is an essential service for your kitchen sink. You cannot afford to leave with a leaking pipe or a faulty sink, for example. This is where Prime Plumbing comes in. We are here to promote hygienic and health standards at your property. 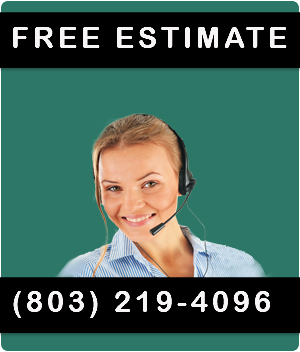 Contact us today (803) 219-4096 for more information and let us attend to your plumbing needs.